Electrocoin’s John Stergides knows a few things about ICE, he’s taken his company to the show for decades. Not its natural home in terms of ICE’s core base, that hasn’t stopped Stergides making it his home every year. And this time round it will be another typical Electrocoin performance as the UK pioneer looks to continue expanding its customer base. Electrocoin will continue its redemption focus as it attends ICE 2019, bringing a selection of titles designed to have a cross-generational appeal on any gaming floor. 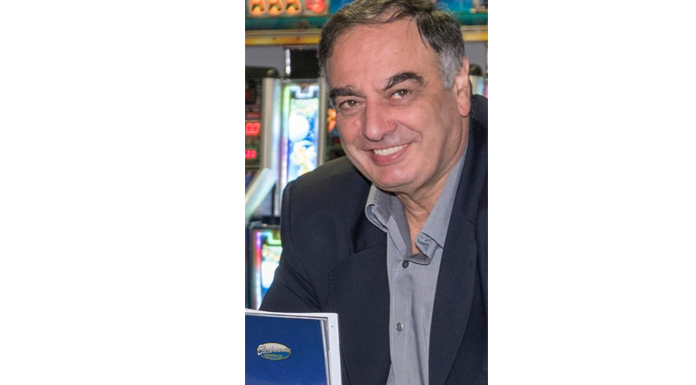 The London-based manufacturer and distributor of amusement and gaming machines will showcase a wide selection of products as it looks toward significant changes on the UK high street as of April this year. Hi Roller made a big splash at January’s EAG where the new AWP software game was debuted, alongside Skill Cut, the rope-cutting title designed to draw crowds with its huge teddy bear prize. The potential for a strong-performing 2019, post the March 31 deadline for FOBT fare capping, follows a successful year developing a broad range of new products, as well as strengthening existing industry relationships. Also presented at ICE will be the new Spin Gaming B3 machine along with the latest Bar X Tablet Cat C System and Bar X 7even Cat D Infill. Despite the following 12 months providing a promising outlook for Electrocoin as redemption goes from strength to strength in the UK market, Stergides added that discrepancies across varied sectors must be overcome before the industry can reach its full potential.